PinRaise, the company that connects real estate agents with local clients and nonprofits, announced today that two of their esteemed real estate professionals each made donations on behalf of their clients to the nonprofits of their clients’ choice. Kristina Vanderpool of Century 21 Fairway in Apple Valley, CA has made a donation to the American Red Cross Hurricane Harvey relief efforts in Houston, Texas on behalf of her clients, Robert and Sameia Smith. 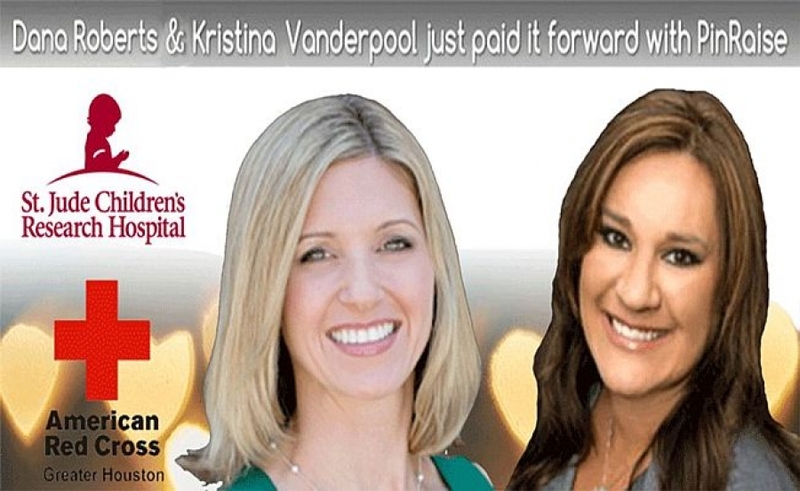 Dana Roberts of Coldwell Banker Residential in Irvine, CA has made a donation to the St. Jude Children’s Hospital on behalf of her client, Wendy Froshay. “I’d like to personally thank Kristina and Dana, who are two realtors that hold our mission of giving back in their hearts as strongly as all of us at PinRaise do. We count ourselves very lucky to be doing such wonderful work alongside such caring agents as them, and I thank them for their continued commitment to giving back,” concludes Mr. Giaimo. About the Agent with Heart Program: Through the PinRaise app, the Agent with Heart program connects homebuyers and sellers with local agents like Kristina Vanderpool and Dana Roberts who agree to donate a percentage or fixed dollar amount of their real estate commission to the nonprofit of their client’s choice after closing. This provides needed revenue for the nonprofit and makes a real difference in their community.